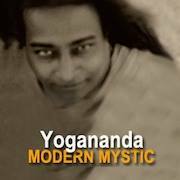 Dear Friends, I have shared below an excerpt from this lesson by Swami Yogananda. Originally intended for his students (those taking his written lessons) I have felt to omit certain parts of the lesson to honor his intention. Nonetheless, it is well worth the read. What happens ten minutes after death. When the ordinary person dies, his whole body usually becomes paralyzed, just as a part of your body sometimes “goes to sleep.” When your foot goes to sleep, you see it, you know that it is yours, but you cannot move or use it. So, at the approach of death, most people feel an entire paralysis, or a going-to sleep state of the entire body--limbs, muscles, and even internal organs, including heart, lungs, and diaphragm. In the beginning, the dying man is conscious of the slowly falling asleep of the muscles and limbs. When the heart begins to grow numb there is a sense of suffocation, for, without heart action the lungs cannot operate. This sense of suffocation is a little painful for about one to three seconds, and causes a great fear of death. Because souls reincarnate many times, and necessarily have to experience death in passing from an old body into the body of a little child, they retain the memory of the feeling of suffocation and pain at death. This memory of pain causes fear of death. Physical and psychological states at death. 1. Gradual numbness of the limbs, muscles, heart, lungs, diaphragm, and so forth. 2. During the spreading of numbness in the limbs and muscles, a sense of sadness and helplessness, and a desire to live, comes into the mind. 3. When the numbness reaches the heart and muscles, a sense of pain and suffocation is experienced which causes an extreme fear of death, and an attachment toward possessions and loved ones strongly comes upon the soul and causes extreme mental grief. 4. With the pain of suffocation, there is a great mental struggle to bring the breath back again. At this time, a condensed review of all the good and bad actions of his lifetime comes up in the mind of the dying man. This mental introspection changes into a tabloid tendency which serves to be the guiding tendency in determining the kind of rebirth that the dying man is to obtain in the next life. 6. Since the last predominating thought of a dying man is weighted down with the habit tendency of a lifetime, it is not good to overburden this consciousness with the fear of death. 8. The ordinary person, after he experiences the sense of suffocation, finds himself suddenly relieved of the weight of his body, of the necessity of breathing, and of any physical pain. 9. After that, the soul of the dead man enters into a state of oblivious sleep a million times deeper and more enjoyable than the state of ordinary deep sleep. 10. A sense of soaring through a very peaceful tunnel of gloom is experienced by the soul. 11. Sometimes, when a man dies quickly, for instance, by hanging or electrocution, or guillotine, or from a shot or sudden accident, he experiences practically no physical pain. 12. The suffering is purely mental when the soul remembers it cannot breathe or live. An imaginary sense of suffocation and pain at death turns into a most painful mental nightmare, which for some time tortures the mental feeling of the dead man, but after a little while, when the soul realizes that its body is gone, it becomes reconciled. If a good soul is murdered, he seldom suffers even any mental agony after a sudden death. Different souls experience different kinds of death. When deep thinkers die, they retain their consciousness very slightly after death. Those who are used to thinking only through the machine of the physical cerebrum encased in flesh, cannot think consciously when that brain is missing. However, due to the fact that deep thinkers have a strong imagination and power of concentration, they can unconsciously materialize their thoughts into astral dreams--in the astral realm of death. Deep thinkers sometimes get beautiful dreams in the astral realm after death. They seldom go through astral nightmares. As in ordinary sleep, a man may experience dreams or nightmares, so during the big sleep, that is, death, a soul may experience either beautiful dreams or nightmares. As dreams or nightmares are experienced during the unconsciousness of sleep with the physical brain as the base, so, also, the ego experiences dreams or nightmares during the unconsciousness of the death-sleep, with the astral brain and latent memory as the base. The astral body becomes the base of operation after death. The astral body is a dream within a dream of the physical body. As the dream of the physical body can have human dreams, so, also, the astral body by itself (without the physical body) can create any dream within itself. Though the physical body is a dream of God, still it seems real when it is owned by the ego. Likewise, the astral body in death becomes real and the base of operation for the ego. Q: Does anybody become conscious after death? A: Yes. Saints and people of concentration who, during their earthly existence, have practised the technique of meditation, can retain their consciousness even when the heart slows down or stops, and they are eligible to retain their consciousness during the state of deathly sleep. Just as we can enjoy a deep sleep, or watch the working of a beautiful dream, semi-consciously, so, also, in conscious death all astral experiences can be consciously or semi-consciously watched. Q: What are the experiences of souls who can consciously work in the astral land after death? This astral land appears to the soul as a very beautiful garden of will. Here he finds an astral climate evenly hot and cold, capable of being controlled by the power of the will, just as modern people can create the warmth of the summer indoors by means of steam heat during winter time, and on warm summer days, they can cool their homes by refrigeration. There is astral winter, spring, rainy season, and summer. The astral winter consists of exquisitely beautiful, fairly cool, white fleecy clouds, or rays, floating around the astral land. The astral snow is ordered by the astral inhabitants mostly for decorating the astral scenery. This astral snow changes the temperature according to the will of the astral inhabitants. The astral spring and summer are filled with an infinite variety of celestial blossoms smiling on the soil of transparent frozen golden light. The astral flowers blossom and change, or vanish, with an endless variety of blended colours, according to the fancy of the astral gardener. They never die. They only vanish or change when not wanted. In the astral rainy season, the rays pour down over the golden soil, emanating an ineffable variety of music of the spheres. They form flower shapes as they fall on the astral soil so that during the astral rain one can perceive a sheet of silver threads dangling daisies and roses of light, and showering them on the astral land. Flower-shaped pools of astral light bedeck the astral streets during an astral rain. In the astral land, there are many mansions or spheres of various multi-coloured luminous vibrations. Just like different neighbourhoods--the aristocratic and slum districts of a city--so the astral kingdom has many quarters of different kinds of dwellings. Unlike clay brick buildings, the astral abodes are made of bricks composed of condensed atoms. The saints live in the aristocratic refined astral realms. Here ordinary souls would freeze to death or suffocate, but the saints can live in extremely cold or extremely warm ways, free from magnetic disturbances. In the astral slums, wicked souls live, unable to enter into the refined atmosphere of the priceless spiritual aristocrats. Just as insects live in the solidified atoms or earth, and fish live in liquefied atoms or water, and man lives in gaseous atoms or air, and saints live in the luminous electric atoms of space, where there is neither soil, water, nor air, so also in the astral land some astral animals live in solidified rays, some astral amphibians live in an astral ocean, and some astral souls live in astral atmosphere, and some live in glittering astral ether, where there is no astral soil, gas, or astral water. The astral animals live more in harmony than earthly animals and are superior to them. That is why, in the visions of St. John’s Apocalypse, and in the yoga books, we find mention of beasts. Saints in the astral realm can travel in any sphere of vibration, just as the President of the United States is welcome to travel in any part of America. How long do souls stay in the astral land? Just as some people do not sleep at all, and others sleep ten; hours a day, and some sleep all the time in sleeping sickness, so ordinary souls get quick rebirths after a short rest in the astral land. Suicide souls are forced to stay longer, experiencing the nightmares of astral life, impelled by their own bad karma. Good souls can remain in the world as long as they want to, and can be reborn on this earth, or may plunge into the Infinite. It is not true that all souls wait hundreds of years after death before rebirth. Is there marriage in the astral land? There is an affinity of true souls who commune with each other by uniting their positive and negative life forces. Astral children are born by materializing thought tendencies and life force into astral bodies. There is reincarnation in the astral land. There is birth and death and reincarnation in the astral land, just as there is in earth life, only in the astral land life is very long and death, or any change, is not forced upon any advanced soul--the wicked astral souls excepted. When the soul lovingly remembers earthly experiences, it may have to go back again and experience life and death in the physical world. The astral death has no pain or fear, such as physical death has. Astral diseases consist mostly of mental moods and mental deficiencies, or astral mal-nutrition. These astral diseases are easily remedied by the powerful minds of almost all astral inhabitants. What is eaten in the astral world? In the astral land, the inhabitants eat solidified rays. They drink liquid light. They breathe astral air and roam in the pure, etheric skies. The astral inhabitants study and help one another and send help to the earth, or to different planets that are in trouble, through the invisible mind radio. It is their goodwill and virtue that keeps the earth from exploding with sin. Astral crime consists in ignorance and in seeking selfish happiness. There are no judges to punish anyone. Souls punish themselves, when they are wrong, by self-imposed discipline. How can we get in touch with the dead? Do not try to contact tramp souls who infest the ether with their presence. As tramps can occupy and run to destruction an empty, unlocked automobile, so tramp souls can get into absentminded, shallow-brained people who try to invoke spirits through a passive state of mind. Such tramp souls can possess the brain and wreck it. Only true souls who loved you, and who continue to love you, should be invited. You need good souls to help you, and you can also send them help. Commune with only the highest saints. The tramp souls who come to you uninvited only want a free ride on your brain-car in order to wreck it. That is why people who passively allow themselves to be possessed usually lose their character, mind, and spiritual power. How to distinguish between true spirit control and subconscious hallucinations. In subconscious hallucinations, the sub-mind, through self-suggestion or the suggestion of others, may receive a suggestion by telepathy to act as a dead grandfather or grandmother. In such change of personality a man, through self-hypnosis, or mental derangement, or subconsciousness, thinks himself to be somebody else. Once a Boston clergyman was sick, and when he became well again, he felt that he was a grocery man, and he disappeared and lived elsewhere with a different name, and sold groceries. Later he became sick again, his mind changed, and he came back to his home, where he remembered that he was a clergyman. These states are marked by extreme emotions. In real communication with a spirit, one should not lose consciousness, but should consciously commune with the invited soul. These states are usually devoid of exciting emotions. Do not try quick, magic tricks to get in touch with departed souls. That is a great spiritual crime against God and humanity. By deep, incessant meditation try to get in touch with your dear dead ones. Only meditation, and months, and sometimes years, of patience can bring them to you. The life after death is the greatest mystery guarded by nature, because people would never use their family-cultivated love of one life to give it to new brother souls of another life if they could find their lost lived ones of previous lives. Only broad, all-living, concentrated souls can solve the mystery of life after death. Q: Can souls be contacted if they leave the astral plane and are reborn on earth? A: Yes. Even if some of your dead loved ones have reincarnated, you can signal to their ever-awake astral bodies and receive an answer in the form of a dream in sleep, or a vision in meditation. Thus, by finding friends in this life and following them up in the astral sphere after death, you will learn the mystery of life after death. Then you will know that death separated your loved ones from you so that you might love, not only them and exclude all your other human brothers, but that you might give your love to all the people in all incarnations. Thus when your heart becomes big enough to love all, you will then know the Father who loves all His children alike, and knowing Him, you will know all your many parents and friends that you loved before. With that intense love you will learn to love all your animate and inanimate brothers as your brothers and children of your one, ever-kind, ever-mysterious Father-God. Last Sunday, I gave a talk on "God" that included a summary of Paramhansa Yogananda's summary of five core aspects of the path to enlightenment. They are not mutually exclusive and, in fact, should be seen as facets of the diamond of Self-realization. 1. Way of the Heart - the Social way to God. By expanding our sympathies and service from ourselves and our family outward to neighbors, town, country, and the world, our ego-active tendencies are softened and eventually dissolved in divine love. To be real, we must be able to love even those who do not love us; those who criticize, blame, or hurt us in some way. Forgiveness is a given on this path. A more complete expression of this would be to include both aspects of divine love: "Love the Lord thy God with all thy heart, mind, strength and soul; and, love thy neighbor AS thy Self. Love includes service, thus combining "Bhakti Yoga" with "Karma Yoga" as sympathy and compassion are not complete without action. 2. Way of the Mind - the Stoic or Ascetic way to God. Dissolution of the ego-active tendencies is a valid, indeed, virtually traditional path. It is not as suited to the consciousness of our culture at this time but it is valid, to some degree, to every devotee. This path uses a sharply focused, mindful intensity to practice what in India is called "neti, neti". (Not this, not this, I am NOT these thoughts, actions, emotions, body, etc.) A form of gyana yoga that includes the tantric practice of calmly observing oneself during all thoughts and actions, the Path of the Stoic is focused on self-discipline: disciplining the palate; the tongue, the senses, practicing austerities of one sort or another. All are mental and some have physical manifestations. With practice, the mind becomes still and enters the non-reactive state of pure observation. In its strictest form, there are no meditation practices as such. But this path, taken to its logical extreme, is arduous and eschews imagery, visualization, devotional practices, chants and all outward forms of spirituality. Krishna in the Bhagavad Gita answers Arjuna's question about this path by saying that it is better for embodied souls to seek God through the I-Thou relationship. Nonetheless, disciplining our ego active patterns and habits remains a necessary aspect of spiritual growth. 3. Way of the Yogi. Kriya yoga, whether seen in the form taught by Paramhansa Yogananda, or in the overarching view of control of life force ("pranayama") in meditation. Put another way, one could say, simply: the path of meditation. Described more fully, the yogi learns to withdraw his attention from the physical body using specific techniques in order to enter and identify with the subtle, or astral, body wherein begins the path of ascension of the soul to God through the astral and causal realms of creation. From the micro reality of the soul to the macro reality of the Oversoul. 4. Metaphysical or Transcendental Path to God. The power of thought, imagination, and intention describes the "how" of God's creation. It also gives to us the means to return to God. Paramhansa Yogananda gave a wide variety of "metaphysical meditations" that teach us how to experience an expansion of our consciousness into the creation and beyond to God. His book with the same name is very popular. This path guides one to use the power of creative visualization to attune ourselves broadly and deeply with all creation with the goal to pass through the stages of creation and enter the Kingdom of Bliss beyond all vibration. It is a valid and powerful practice and path. It is, practically speaking, a form of meditation. 5. Way of the Disciple. It is axiomatic in the teachings of India that one needs a guru to achieve enlightenment. While recognized implicitly or explicitly in other spiritual traditions, India's ancient tradition of "Sanaatan Dharma" (the Eternal Religion) posits this as a precept. One who is blessed to attract a true (or "sat") guru (one who is fully liberated, an avatar) and who "receives" the guru's blessings fully, receives the power "to become the son of God." If our incarnate souls are, in essence, a spark of God's Infinite Bliss, then the proof of this must be the appearance in human form and in human history of some souls who can truly say, "I and my Father are One." The transmission of liberation takes place through the only medium in which liberation exists: consciousness. No mantra, no prayer, no rite or ritual can substitute or purely transmit God consciousness. Only consciousness can do this. The ego, like Moses who led "his people" (his mental citizens) to (but not into) the Promised Land (of enlightenment), cannot, itself, become enlightened. The ego must surrender the kingdom of the mind to the Infinite Bliss of God. By will power alone we cannot scale the heights of cosmic consciousness but by the grace of God incarnate. These five "paths" are not independent and separate. During the soul's many incarnations after it begins consciously to seek liberation from delusion, it will emphasize one or more of the paths as part of the process of purification and release of karma. The five work together and perhaps align (though I have not thought deeply about this) with the five pranas (energies) of the human body. Therefore, respect your own, and others, natural inclinations to pursue and express different aspects and forms of these core paths and practices.